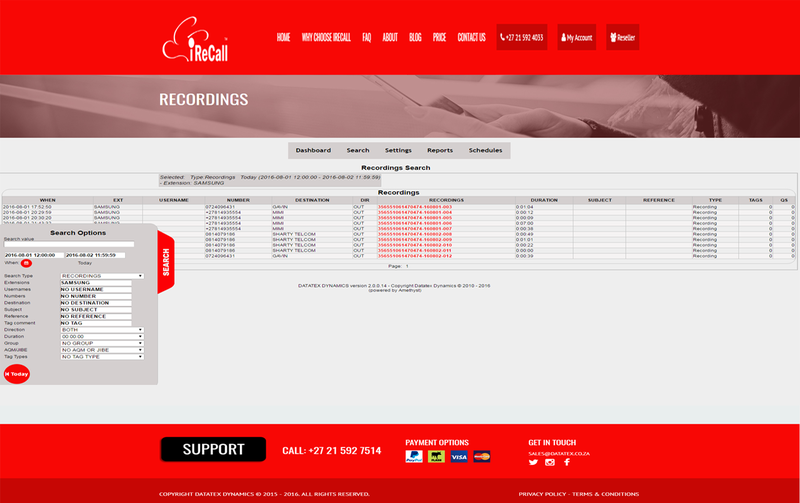 iReCall Mobile Recording is part of our cloud based Amethyst Call recording and Agent Quality Management suite. Amethyst is an industrial strength call recorder used by many companies all over the world. You do not need Amethyst to use iReCall Mobile. Amethyst is however, used to manage the solution in the cloud giving you access to some of the advance features available in Amethyst through our web interface. If you already own Amethyst you can have your iReCall mobile recordings forwarded to your Amethyst server. iReCall automatically records all your incoming and outgoing calls. 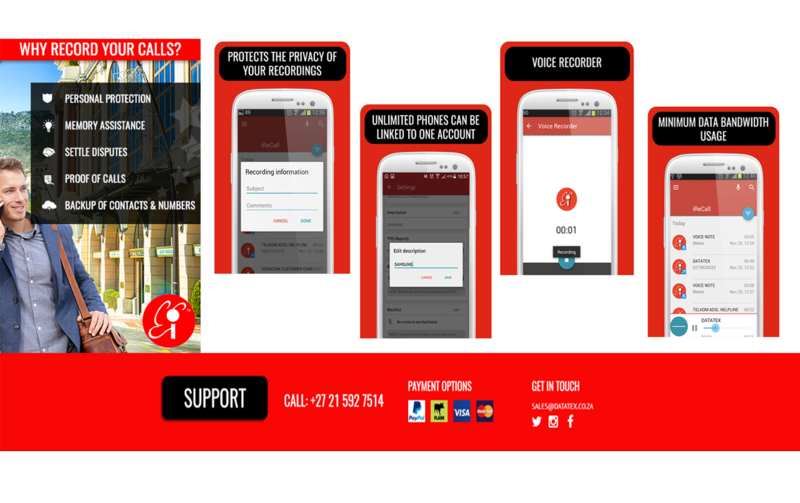 Call info including number, contact name, date, time, direction and duration is stored with the recording. You can add a white list or blacklist to restrict which numbers to record. The Dictaphone allows you to voice record meetings or memos. Subjects and notes can be added to the Voice and Call recordings. Calls can be marked as important. Calls to the same contact can easily be grouped together. You can search for calls on many fields including telephone number, subject etc. You can have unlimited mobile phones linked to a single account. All recordings from these phones can be accessed via a web browser that supports HTML5. Unlimited supervisors can be configured with access to specific mobile phones. Staff can manage their private calls through black or whitelists. 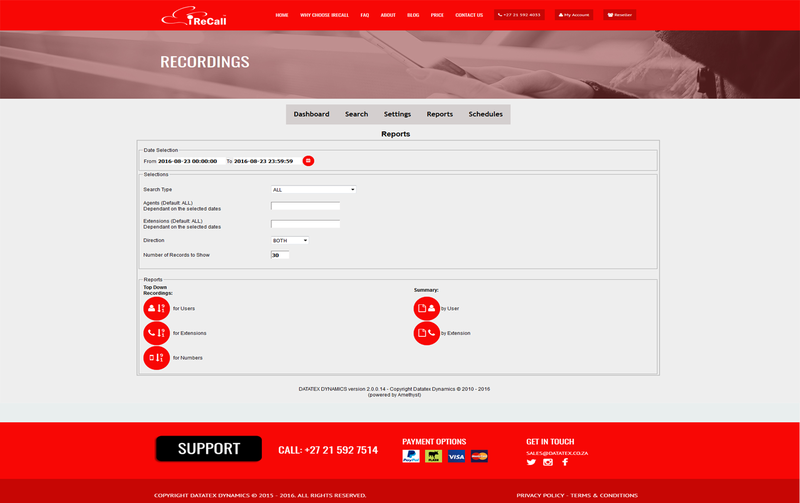 iReCall mobile and iReCall onsite recordings can be linked into a single view on our cloud servers. iReCall complies to all currently known legislation with regards to POPI. CPA, PCI, SOX etc. Phone Requirements: All you need is a phone with Android 4.1 or later.